Comments: PPL thin-section showing unoriented grains of graphite-rich golden suhailite. 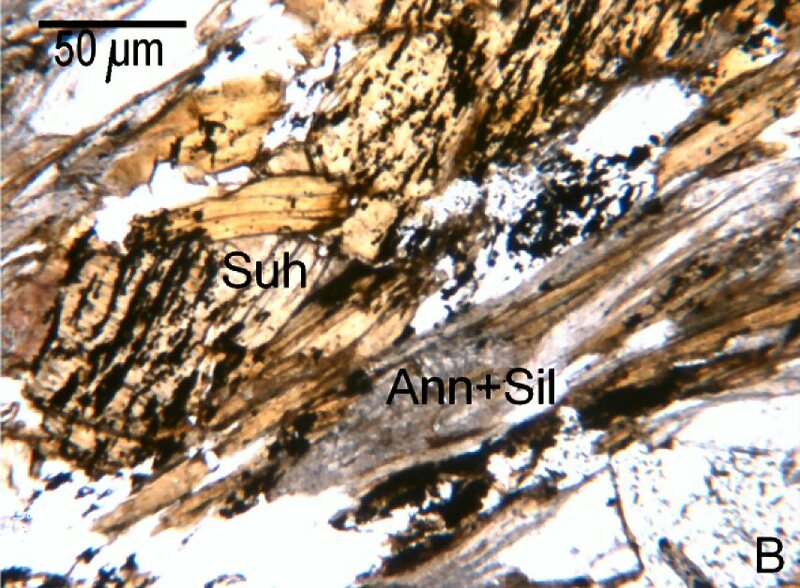 Suh - suhalite, Ann - annite, Sil - sillimanite. (AmMin v94:211). Location: Betic Cordillera gneisses (Spain).